There was no way that a man of Durkheim's views could receive a major academic appointment in Paris. From 1882 to 1887 he taught philosophy at several provincial schools. In 1885 he decided to leave for Germany, where for two years he studied sociology at the universities of Marburg, Berlin and Leipzig. As Durkheim indicated in several essays, it was in Leipzig that he learned to appreciate the value of empiricism and its language of concrete, complex things, in sharp contrast to the more abstract, clear and simple ideas of the Cartesian method. By 1886, as part of his doctoral dissertation, he had completed the draft of his The Division of Labour in Society, and was working towards establishing the new science of sociology. Establishment of sociology as an independent, recognized academic discipline is amongst Durkheim's largest and most lasting legacies. Within sociology, his work has significantly influenced structuralism or structural functionalism. Scholars inspired by Durkheim include Marcel Mauss, Maurice Halbwachs, Célestin Bouglé, Alfred Radcliffe-Brown, Talcott Parsons, Robert K. Merton, Jean Piaget, Claude Lévi-Strauss, Ferdinand de Saussure, Michel Foucault, Clifford Geertz, Peter Berger, Robert Bellah, social reformer Patrick Hunout and others. Durkheim sought to create one of the first rigorous scientific approaches to social phenomena. Along with Herbert Spencer, he was one of the first people to explain the existence and quality of different parts of a society by reference to what function they served in maintaining the quotidian (i.e. by how they make society "work"). He also agreed with his organic analogy, comparing society to a living organism. Thus his work is sometimes seen as a precursor to functionalism. Durkheim also insisted that society was more than the sum of its parts. Unlike his contemporaries Ferdinand Tönnies and Max Weber, he focused not on what motivates the actions of individuals (an approach associated with methodological individualism), but rather on the study of social facts. Many social facts, however, have no material form. Even the most "individualistic" or "subjective" phenomena, such as love, freedom or suicide, would be regarded by Durkheim as objective social facts. Individuals composing society do not directly cause suicide: suicide, as a social fact, exists independently in society, and is caused by other social facts (such as rules governing behavior and group attachment), whether an individual likes it or not. Whether a person "leaves" a society does not change anything to the fact that this society will still contain suicides. Suicide, like other immaterial social facts, exists independently of the will of an individual, cannot be eliminated, and is as influential – coercive – as physical laws such as gravity. Sociology's task thus consists of discovering the qualities and characteristics of such social facts, which can be discovered through a quantitative or experimental approach (Durkheim extensively relied on statistics). As the society, Durkheim noted there are several possible pathologies that could lead to a breakdown of social integration and disintegration of the society: the two most important ones are anomie and forced division of labour; lesser ones include the lack of coordination and suicide. 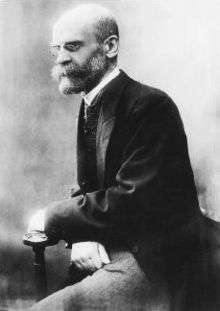 By anomie Durkheim means a state when too rapid population growth reduces the amount of interaction between various groups, which in turn leads a breakdown of understanding (norms, values, and so on). By forced division of labour Durkheim means a situation where power holders, driven by their desire for profit (greed), results in people doing the work they are unsuited for. Such people are unhappy, and their desire to change the system can destabilize the society. Durkheim's views on crime were a departure from conventional notions. He believed that crime is "bound up with the fundamental conditions of all social life" and serves a social function. He stated that crime implies, "not only that the way remains open to necessary changes but that in certain cases it directly prepares these changes." Examining the trial of Socrates, he argues that "his crime, namely, the independence of his thought, rendered a service not only to humanity but to his country" as "it served to prepare a new morality and faith that the Athenians needed". As such, his crime "was a useful prelude to reforms". In this sense, he saw crime as being able to release certain social tensions and so have a cleansing or purging effect in society. He further stated that "the authority which the moral conscience enjoys must not be excessive; otherwise, no-one would dare to criticize it, and it would too easily congeal into an immutable form. To make progress, individual originality must be able to express itself...[even] the originality of the criminal... shall also be possible". This study has been extensively discussed by later scholars and several major criticisms have emerged. First, Durkheim took most of his data from earlier researchers, notably Adolph Wagner and Henry Morselli, who were much more careful in generalizing from their own data. Second, later researchers found that the Protestant–Catholic differences in suicide seemed to be limited to German-speaking Europe and thus may have always been the spurious reflection of other factors. Durkheim's study of suicide has been criticized as an example of the logical error termed the ecological fallacy. However, diverging views have contested whether Durkheim's work really contained an ecological fallacy. More recent authors such as Berk (2006) have also questioned the micro–macro relations underlying Durkheim's work. Some, such as Inkeles (1959), Johnson (1965) and Gibbs (1968), have claimed that Durkheim's only intent was to explain suicide sociologically within a holistic perspective, emphasizing that "he intended his theory to explain variation among social environments in the incidence of suicide, not the suicides of particular individuals." A religion is a unified system of beliefs and practices relative to sacred things, i.e., things set apart and forbidden--beliefs and practices which unite in one single moral community called a Church, all those who adhere to them. However, even if the religion was losing its importance for Durkheim, it still laid the foundation of modern society and the interactions that governed it. And despite the advent of alternative forces, Durkheim argued that no replacement for the force of religion had yet been created,. 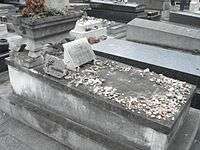 He expressed his doubt about modernity, seeing the modern times as "a period of transition and moral mediocrity". Despite such critiques, Durkheim's work on religion has been widely praised for its theoretical insight and whose arguments and propositions, according to Robert Alun Jones, "have stimulated the interest and excitement of several generations of sociologists irrespective of theoretical 'school' or field of specialization." 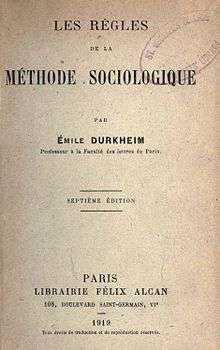 While publishing short articles on the subject earlier in his career (for example the essay De quelques formes primitives de classification written in 1902 with Marcel Mauss), Durkheim's definitive statement concerning the sociology of knowledge comes in his 1912 magnum opus The Elementary Forms of Religious Life. This book has as its goal not only the elucidation of the social origins and function of religion, but also the social origins and impact of society on language and logical thought. Durkheim worked largely out of a Kantian framework and sought to understand how the concepts and categories of logical thought could arise out of social life. He argued, for example, that the categories of space and time were not a priori. Rather, the category of space depends on a society's social grouping and geographical use of space, and a group's social rythme that determines our understanding of time. In this Durkheim sought to combine elements of rationalism and empiricism, arguing that certain aspects of logical thought common to all humans did exist, but that they were products of collective life (thus contradicting the tabla rasa empiricist understanding whereby categories are acquired by individual experience alone), and that they were not universal a priori's (as Kant argued) since the content of the categories differed from society to society. Durkheim defines morality as "a system of rules for conduct." His analysis of morality is strongly marked by Immanuel Kant and his notion of duty. While Durkheim was influenced by Kant, he was highly critical of aspects of the latter's moral theory and developed his own positions. Durkheim agrees with Kant that within morality, there is an element of obligation, "a moral authority which, by manifesting itself in certain precepts particularly important to it, confers upon [moral rules] an obligatory character." Morality tells us how to act from a position of superiority. There exists a certain, pre-established moral norm to which we must conform. It is through this view that Durkheim makes a first critique of Kant in saying that moral duties originate in society, and are not to be found in some universal moral concept such as the categorical imperative. Durkheim also argues that morality is characterized not just by this obligation, but is also something that is desired by the individual. The individual believes that by adhering to morality, they are serving the common Good, and for this reason, the individual submits voluntarily to the moral commandment. Durkheim had an important impact on the development of Anthropology and Sociology, influencing thinkers from his school of sociology, such as Marcel Mauss, but also later thinkers, such as Maurice Halbwachs, Talcott Parsons, Alfred Radcliffe-Brown, and Claude Levi-Strauss. More recently, Durkheim has influenced sociologists such as Steven Lukes, Robert Bellah, and Pierre Bourdieu. His description of collective consciousness also deeply influenced the Turkish nationalism of Ziya Gökalp, the founding father of Turkish sociology. Randall Collins has developed a theory of what he calls interaction ritual chains, which is a synthesis of Durkheim's work on religion with Erving Goffman's micro-sociology. Outside of sociology, he influenced philosophers Henri Bergson and Emmanuel Levinas, and his ideas can be found latently in the work of certain structuralist thinkers of the 60s, such as Alain Badiou, Louis Althusser, and Michel Foucault. Recently, Durkheim has influenced philosophers such as Charles Taylor and Hans Joas. 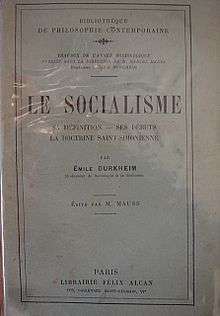 ↑ Durkheim, Émile (1895). The Rules of Sociological Method. p. 14. The first and most fundamental rule is: Consider social facts as things. ↑ "Emile Durkheim's Life and Works (1857-1917)". ↑ Meštrović (1993), p. 37: "While Durkheim did not become a Rabbi, he may have transformed his father's philosophical and moral concerns into something new, his version of sociology." 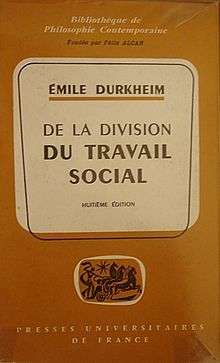 1 2 3 Durkheim, Émile  "The Rules of Sociological Method" 8th edition, trans. Sarah A. Solovay and John M. Mueller, ed. George E. G. Catlin (1938, 1964 edition), pp. 13. ↑ Collins (1975), p. 539: "Durkheim was the first to seriously use the comparative method correctly in the scientific sense". ↑ Hassard (1995), p. 15: "Suicide [...] is indeed the paradigm case of Durkheim's positivism: it remains the exemplar of the sociological application of statistics." ↑ Freedman, David A. 2002. The Ecological Fallacy. University of California. ↑ Durkheim, Emile. (1964). The elementary forms of the religious life. London: Allen & Unwin. ↑ http://durkheim.uchicago.edu/Summaries/forms.html#pgfId=5658; section 7 "Critical Remarks." ↑ Durkheim, 'Introduction,' Les Formes, p. 14-17, and p. 19-22. ↑ Durkheim, Émile. Sociologie et Philosophie. PUF. Paris, 2004. p. 50. ↑ Bourdieu & Passeron (1967), pp. 167–168: "For, speaking more generally, all the social sciences now live in the house of Durkheimism, unbeknownst to them, as it were, because they walked into it backwards." Durkheim, Émile (1974) . Sociology and Philosophy. Translated by D. F. Pocock; with an introduction by J. G. Peristiany. Toronto: The Free Press. ISBN 0-02-908580-2. LCCN 74-19680. Hassard, John (1995). Sociology and Organization Theory: Positivism, Paradigms and Postmodernity. Cambridge Studies in Management. 20. Cambridge University Press. ISBN 0-521-48458-8. Lukes, Steven (2007). "Searle versus Durkheim". In Savas Tsohatzidis. Intentional Acts and Institutional Facts: Essays on John Searle's Social Ontology Theory. Dordrecht: Springer. pp. 191–202. doi:10.1007/978-1-4020-6104-2_9. ISBN 978-1-4020-6103-5. Meštrović, Stjepan (1993) . Émile Durkheim and the Reformation of Sociology. Lanham, MD: Rowman & Littlefield. ISBN 0-8476-7867-9. Sztompka, Piotr (2002). Socjologia. Znak. ISBN 83-240-0218-9. Osipova, Elena (1989). "Emile Durkheim's Sociology". In Igor Kon. A History of Classical Sociology (DOC, DjVu). Translated by H. Campbell Creighton. Moscow: Progress Publishers. pp. 206–254.